One year on from its founding, Animals Asia’s Indonesian partner FLIGHT has rescued thousands of birds and returned song to the jungles of Indonesia. 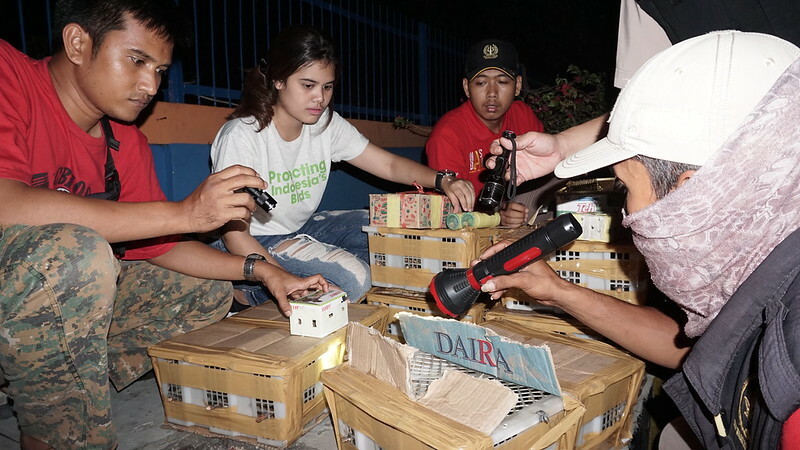 In January 2019, less than a year on from their founding, Indonesian charity FLIGHT rescued nearly 1,500 birds from smugglers. As part of their investigations into bird smuggling, the group also helped the authorities rescue 13 slow Lloris, 14 turtles and five eagles – all in January alone. “We spent years monitoring the illegal trade in Indonesia’s birds and were absolutely shocked by the sheer scale of the industry. Rare and indigenous birds are poached from throughout the Indonesia archipelago to be sold in markets on the nation’s largest island, Java. Particularly desirable are a variety of birds native to Sumatra such as sunbirds, tailorbirds, leafbirds, bulbuls and nuthatches. FLIGHT believe more than 10,000 birds are smuggled from Sumatra to Java every week to be sold at markets to collectors who value their singing voices. Thankfully, with FLIGHT now monitoring the trade and working with the government to catch poachers, the number of birds recovered and re-released is on the rise. In December 2018, FLIGHT helped to confiscate 3,175 birds being smuggled from Sumatra to Java with all surviving birds released, while a further 2,140 birds were saved by the group in November. Sadly, the brutal conditions endured by the birds during capture and transport mean that many don’t survive. In the summer of 2018, quarantine officials found 6,000 birds in a van being smuggled from Sumatra into Java. Tragically, 2,000 of the birds died before they could be released back into the wild. “We have been able to rescue a huge number of birds in our first year and disrupt major poaching and smuggling rings, but more needs to be done. Animals Asia provides funding and mentorship to FLIGHT in order to help them achieve their goal of saving Indonesia’s songbirds.